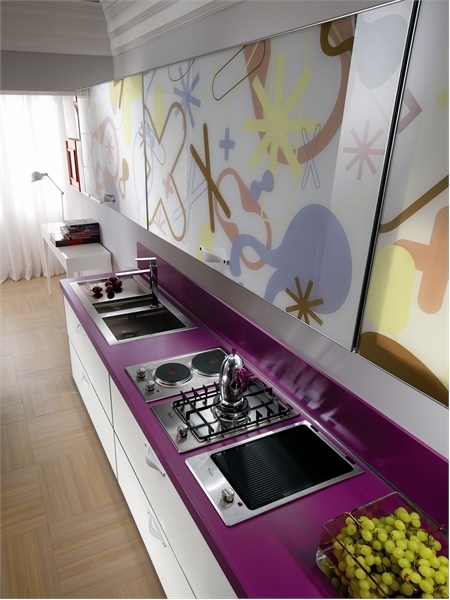 These amazing modern kitchens have been designed by well-known and very popular designer, KarimRashid, for Scavolini. 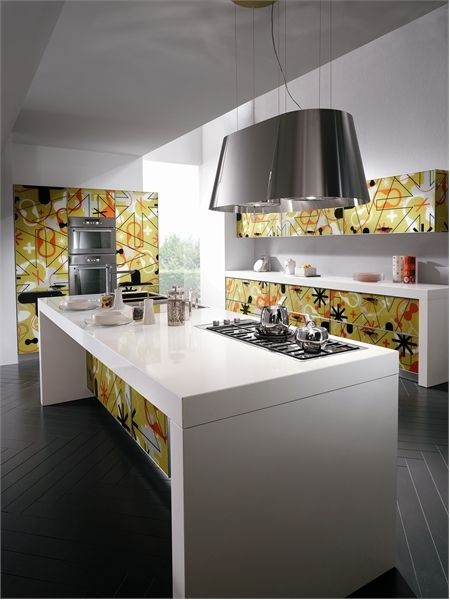 They are the part of the beautiful Crystal collection, which consists of trendy kitchens made of glass. 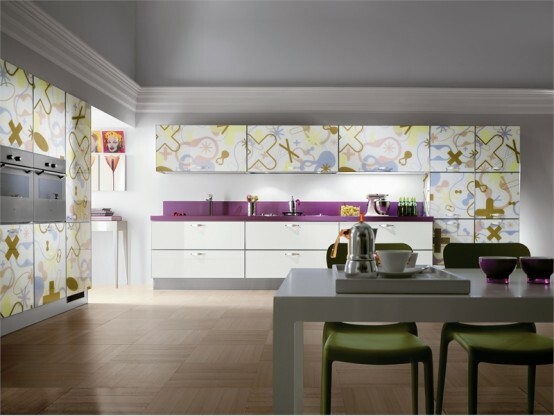 All kitchens from this collection are bright, but two models, which you can see below, stand out from others. 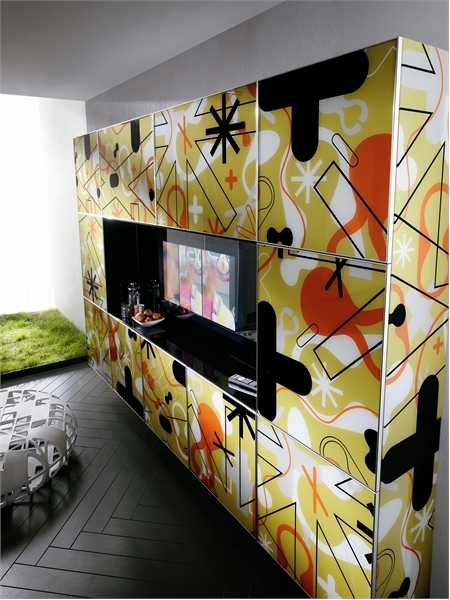 They attract by original visual effects and unusual color solutions. 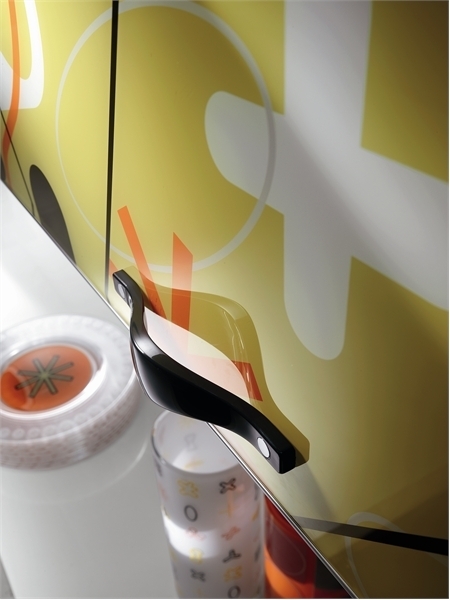 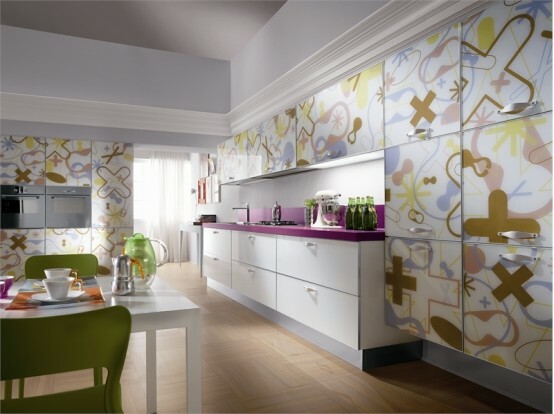 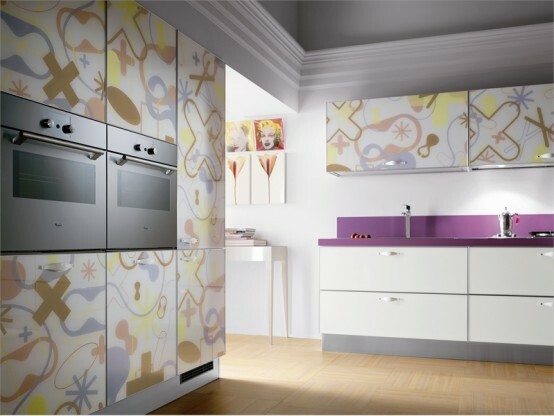 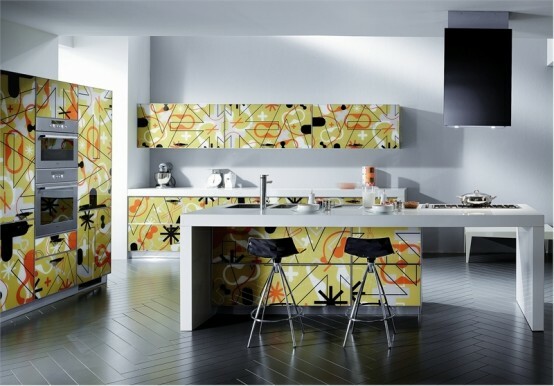 The glass kitchen doors with “pop art” motif could change any kitchen into an alive and positive place. 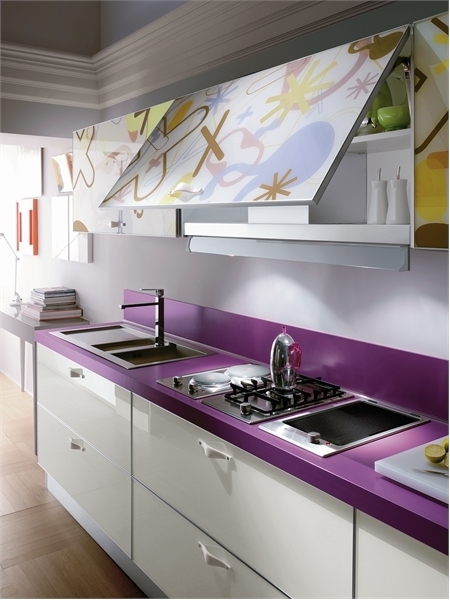 One more awesome detail is the bright violet top. 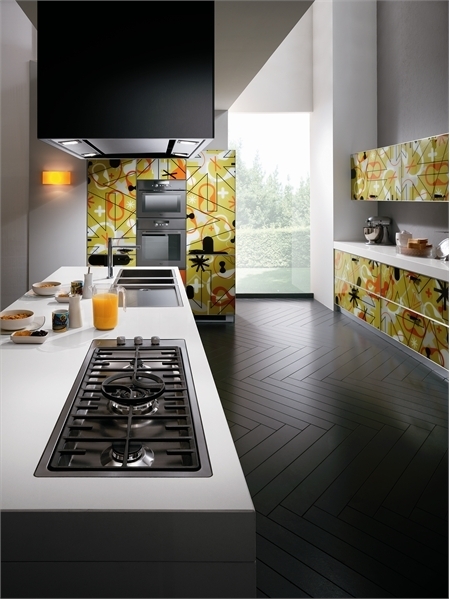 Kitchen with such original top looks very stylish and cool. 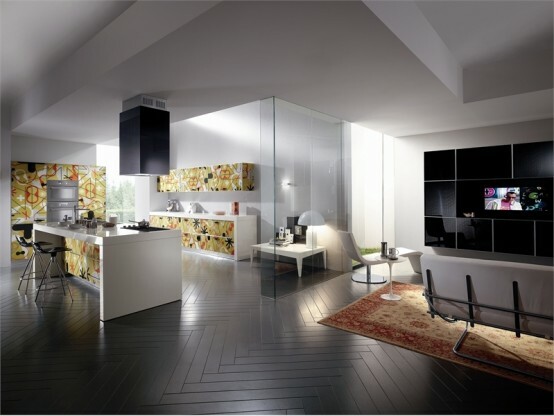 As all kitchens by Scavolini these models are very functional and are equipped by the high quality mechanisms.